BRECKENRIDGE – At this year’s Holiday Workshop at the Mountain Top Children’s Museum, not everything will be about Santa, his reindeer and Christmas decorations. According to Laura Gorvath, the executive director and co-founder of the museum, Christmas “has become more political than it used to be.” So in an attempt to offer a workshop that suits all, Gorvath and her staff have planned different activities that go from classic Christmas to “more neutral stuff.” Apart from making food for the reindeer, holiday decorations and letters to Santa, the kids will also work on making snowflakes and snowmen. The workshop will take place at the museum, located at the Village at Breckenridge, and will go from noon to 4 p.m. 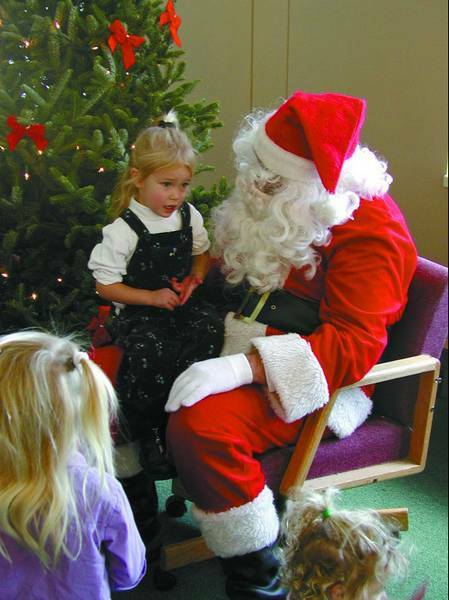 The event is free and, although it’s intended for kids 10 and under, Gorvath says that older children enjoy the activities as well.The Holiday Workshop is a Breckenridge Resort Chamber (BRC) event. The BRC hires the museum to offer the workshop to the community. “It is a free, drop-in style, family activity,” said Kristen Petit, spokesperson for the BRC.Thanks to the donation of the space by the Breckenridge Ski Resort, the museum has been functioning at the Village for the past two years. Right now, it is only open on weekends, but starting Dec. 17, it will go back to its winter schedule of seven days a week.